Grilled Chicken with Dinosaur Kale! This is the easiest recipe you’ll ever read! It’s tasty and super healthy! I’ve been eating a lot of kale. I love it! 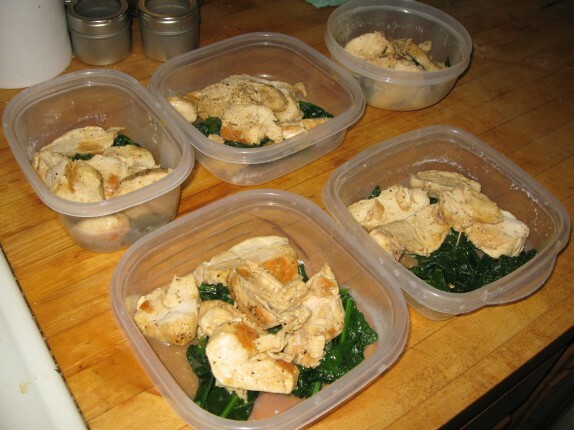 Nine times out of ten, I use the same exact preparation every time. This recipe works with any kale or dark greens that you can find. This time, I made it with some dinosaur kale (otherwise known as lacinato kale) that I found at my farmers market; you can also buy this in the supermarket (I don’t care where you buy your stuff). I like this type of kale because you don’t need to pull away the greens from the stems; the lighter part of dinosaur kale is tender. Also, the final texture actually benefits from that little bit of stem down the center. 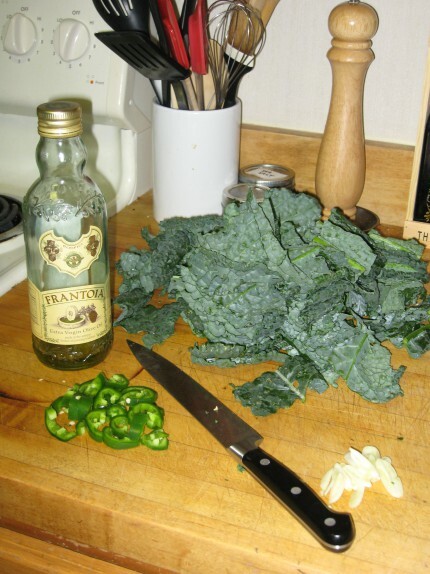 I cut the kale into 1 inch strips and add it to the oil. I toss the kale in the oil, chile, and garlic mixture so it’s well coated, and I add a little sea salt and black pepper. To aid in the steaming of the kale, I carefully add about 1/8 cup of water and toss. At this point, I do the rest of the cooking off of the heat. 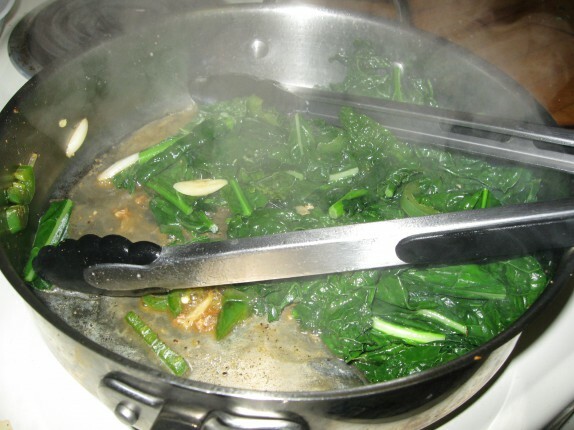 What I’m left with is a skillet full of some healthy and delicious sauteed kale. This reheats really well in the microwave as long as you leave it covered for a minute or two in there. So, what I do is make containers with it for lunch. I add a few grilled chicken breasts (chicken breast, salt, pepper on a hot skillet until cooked), and I get five servings of something packed with protein and nutrients for under $6.